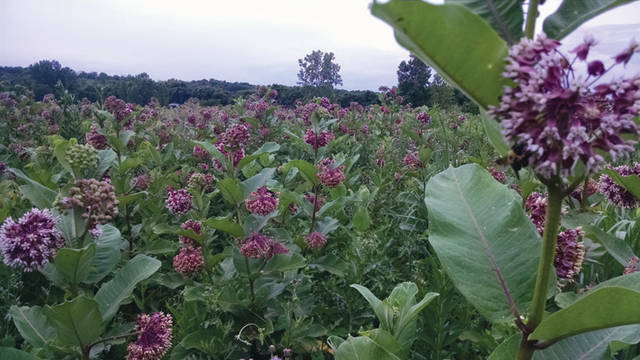 Provided photo Milkweed attracts pollinators such as the endangered Monarch butterfly. MIAMI COUNTY — A grant received by the Miami County Park District will help raise awareness of the need for pollinators in the environment. Miami County residents will learn the importance of preserving and creating pollinator habitat thanks to an $49,914 grant from the Ohio Environmental Education Fund (OEEF). The grant was awarded to the Miami County Park District (MCPD) — one of eight Ohio communities and organizations to receive a total of $239,941 to support environmental education programs. OEEF grants are funded with a portion of the civil penalties Ohio EPA collects for violations of Ohio’s air and water pollution control laws. OEEF awards grants for a variety of environmental education projects serving kindergarten through university students, the public and the regulated community. Eligible recipients include environmental groups, public and private schools, colleges and universities, trade and professional organizations, state and local governments, and businesses. According to Cinda Hanbuch-Pinkerton, environmental education director, pollinators are animals, such as bees, butterflies, flies, birds, bats, beetles, or even the wind, that cause plants to make fruit or seeds. They do this by moving pollen from one part of the flower of a plant to another part, she said. This pollen then fertilizes the plant. Only fertilized plants can make fruit and/or seeds, and without them, the plants cannot reproduce, Hanbuch-Pinkerton said. “Pollination is important because it leads to the production of fruits we can eat, and seeds that will create more plants,” Hanbuch-Pinkerton said. She said many species of pollinators, including the Monarch butterfly and the rusty-patched bumblebees — once among the more common insect species in North America — are now on the endangered list. With pollinating insects on the decline, MCPD will use the money to initiate a two-year educational pilot program called “Habitat Heroes — Hug the Pollinators!” The goal is to inspire more than 10,000 kids and adults to protect and increase pollinator habitat. Hanbuch-Pinkerton said locally, the park district also received a donation from the Neils and Ruth Lundgard Charitable Trust for this project as well. Hanbuch-Pinkerton said some of the outreach programs the grant will fund include pollinator habitat hands-on exploration field trips at parks, classroom academic standard aligned activities, a literary and creative arts pollinator classroom education tool kit using visual/auditory arts to encourage retention and excitement of key concepts, performing Arts experience, library/park site pollinator storybook trails and pollinator habitat plantings on schools/private properties. “The whole community will become sites for learning. This program will be modeled directly after our ongoing, award winning ‘Watersheds Alive! Hug the Watershed’ program funded 10 years ago by OEEF,” she said. Hanbuch-Pinkerton said the park district also will collaborate with many charitable and community foundations, environmental groups, local civic organizations and businesses during the two-year program. Curriculum topics will address real world issues, she said. Miami County Park District Executive Director J. Scott Myers agrees. https://www.weeklyrecordherald.com/wp-content/uploads/sites/51/2017/07/web1_Milkweed-2.jpgProvided photo Milkweed attracts pollinators such as the endangered Monarch butterfly.